Now congregating in a pond near me. 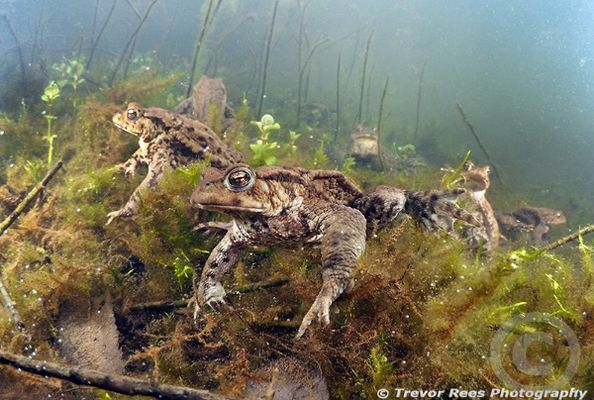 Each year, toads find their way to their nearest pond to breed. This year I tried a new pond in Worcestershire and was able to see masses of individuals that had arrived from their land hiding places to get ready for breeding. It is a short window and within a few weeks the spectacle will all be over.